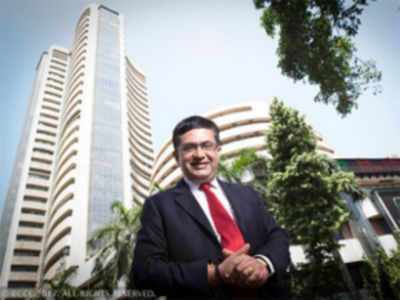 BENGALURU: Bombay Stock Exchange MD and CEO Ashishkumar Chauhan on Wednesday emphasised the importance of supporting SMEs and startups despite risk in raising funds for them as some have the potential of becoming giant firms like Infosys and Reliance Industries. “Yes, we know there is a risk in raising funds for SMEs and startups listed on our dedicated platforms, but some of them have potential of becoming giant companies like Infosys and Reliance Industries. One must remember, Infosys and Reliance had started small,” he told PTI in an interview here. “Even if 75 per cent of the startups and SMEs do not survive out of one lakh in total, there still will be 25,000 companies. For me it is glass half-full which is more important because they will create unforeseen wealth in India,” he said. “In the last six years of its inception, as many as 253 companies have been listed in our SMEs platform. At the time of listing, their market capitalisation was around Rs 8,000 crore as of July 2014. Today their market capitalisation is Rs 22,000 crore,” he said. “The average fund raised by SMEs or startups is Rs 8 crore, which is not considered large in today’s world .Hence, many countries are amazed how an Indian stock exchange like BSE is able to raise these funds at low cost,” he said. In other countries, Chauhan said, the cost of raising funds costs in tens of crores of rupees. Replying to a query, Chauhan said BSE was not dogged with ‘co-location’ issue because it does not do high speed trading and instead focuses on bonds, mutual funds and other related things. “We don’t take our investors into the zone of speculation where chances of losing of money is more. We are now into distribution of IPOs, offer to sell, gold bonds and corporate bonds… And hence, we don’t have the issue of co-location,” he said. BSE was now going into insurance distribution because of the potential in formal finance sector which India has just scratched in a very minuscule way, Chauhan said. The National Stock Exchange has been accused of lapses in high-frequency trading offered through its co-location facility and market regulator SEBI is probing allegations that some brokers had unfair access to NSE’s high frequency trading systems.